Enough is enough! Kimi Räikkönen doesn’t leave anyone in doubt over why he was about to skip the Abu Dhabi Grand Prix. – I am here because I enjoy racing and I always want to do my best when going on the track. Sometimes something just happens, something that should not happen. This sport has both the professional and financial side. 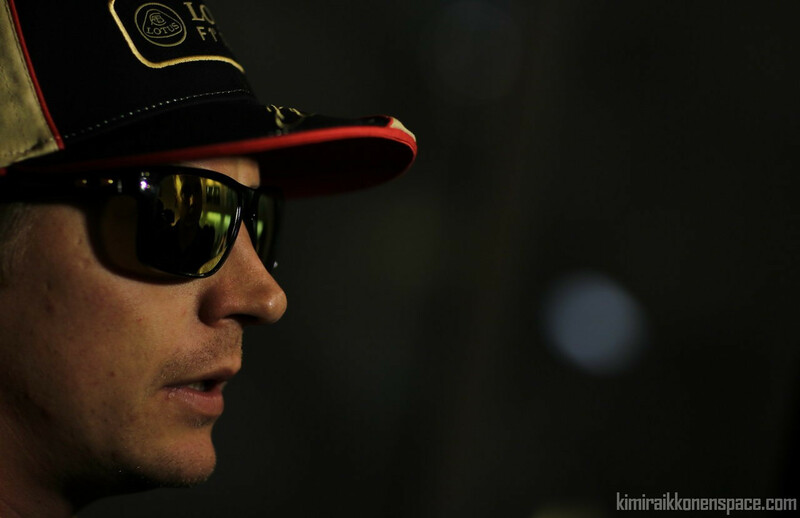 It’s not enough if one is in order and the business part isn’t, Räikkönen told the media. – I have been put in a difficult situation. They haven’t paid me one single euro this year although they have spread all kinds of stories. It’s not true that I don’t care what happens to the team, but when you are accused of not being a good team player, or rather that you don’t think what’s best for the team, it definitely doesn’t help if you haven’t even been paid any salary so far. Alan Permane cursed rudely to Räikkönen and he gave it back the same in India. – But that doesn’t matter anymore at this point. Bygones are bygones. But the line has to be put somewhere and this is now it. If they don’t take care of things that I’m not satisfied with, then I have to react to it. The team should respect the promises they have given or else they find themselves from a situation where there is no racing anymore. Räikkönen didn’t confirm on Friday that he would race the remaining races, although his manager Steve Robertson and his lawyers have reached some kind of an understanding with Gerard Lopez. – In this profession, nothing is ever 100% certain until the matters have been taken care of as agreed upon. If that doesn’t happen then it’s all the same for me if I continue to race or not. It wouldn’t change my life in one way or another, Räikkönen snapped. On Thursday Robertson presented Kimi different options and he made his own decision based upon them. – I have been in this business for a long time. One needs to have a certain kind of trust in people. When you repeat the same thing over and over again and nothing happens, it surely doesn’t help the situation. I do try my best, but right now this is not the most pleasant moment in my career. But it’s certain that if I would not try to win here then I would not even have shown up, Räikkönen said. Then why did the emotions run so high between Permane and Räikkönen when Romain Grosjean overtook Kimi? – I don’t know. For me it was the same situation like in any other race. I defend my position like this towards everyone and some see different situation in a different way. But what he said doesn’t matter much anymore. It was unfortunate that it happened. Right Bernie, claim loud and clear you’re paying everyone.